Black and white for baby's bright eyes. Gigglespots© are eye-catching black and white art cards that aid in babies' visual and cerebral development. These interactive spots can be hung on a crib, car seat, changing table or stroller. 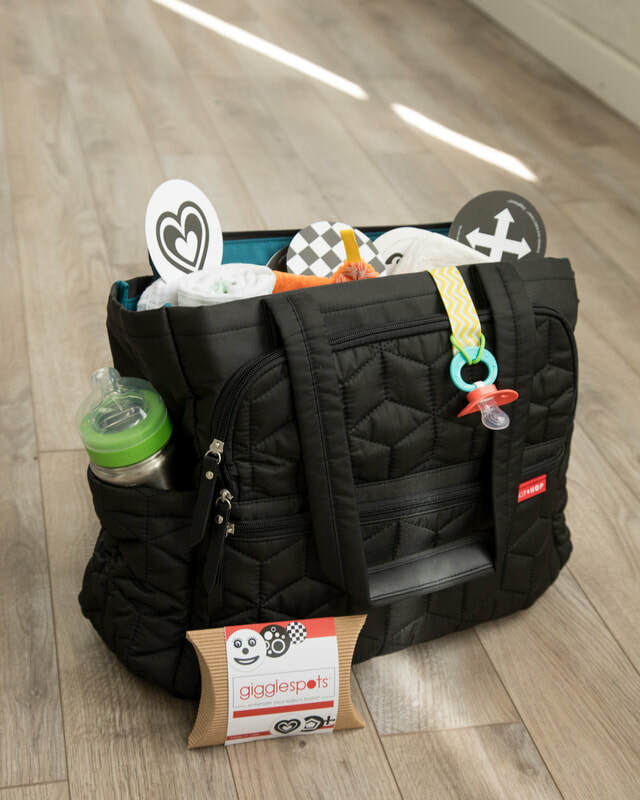 ​Spots can be easily stored in a diaper bag or placed in front of your baby during tummy time. On the move, just like you. Gigglespots are great for moms and babies on the go. Stick them in the diaper bag, near the changing table, and in the car — everywhere baby goes. Every set of Gigglespots comes with hook-and-loop adhesive dots, so you can stick them nearly anywhere. ​Our spots are made from water-resistant cardstock that is durable and easy to clean. As motor and vision skills develop, Gigglespots hold baby's interest with high-contrast, engaging designs. Our Classic set includes a variety of fun shapes and symbols. The ideal baby shower gift for expecting parents, Gigglespots are appealing to babies and parents alike. 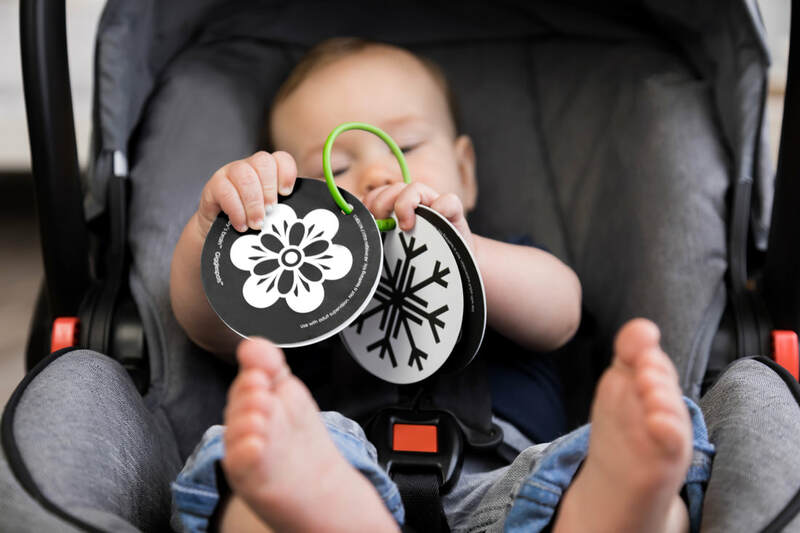 Designed for babies 0-6 months, Gigglespots are a great way to keep your baby engaged during a diaper change or in the car. They can also be hung on clip-style photo mobiles over the crib. ​As baby grows, Gigglespots help make tummy time engaging.